This is a copy of a publication in Encyclopedia of Law and Society: American and Global Perspectives, edited by David S. Clark, pp. 330-331. Thousand Oaks, CA: Sage Publications, 2007. Also available in pdf format. Please cite as: Deflem, Mathieu. 2007. "Crime, International Response to." Pp. 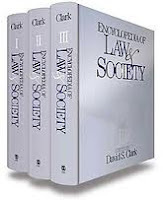 330-331 in Encyclopedia of Law and Society: American and Global Perspectives, edited by David S. Clark. Thousand Oaks, CA: Sage Publications. Various institutions in the international community respond to crime, because criminal activities or their consequences sometimes spill across national jurisdictional borders. The international dimensions of certain crimes, such as organized crime, the drug trade, and terrorism, are the motivation for responses by a plurality of institutions in politics, law, and law enforcement at the international level. Although the current era presents an unprecedented high degree of internationalization in many areas of social life, international responses to crime have a long history. The international control of crime has historically taken shape since at least the nineteenth century, when the governments of large national states sought to consolidate political power. The earliest efforts to coordinate crime control on an international level targeted, in particular, the political opponents of autocratic regimes, mostly in Europe, where socialists, anarchists, communists, as well as liberal democrats were subject to international police actions. Toward the close of the nineteenth century, these political efforts led to the elaboration of international police operations that were oriented at nonpolitical crimes, such as the international trade in prostitutes and the rendition of international fugitives who had committed murder, theft, and other violations of criminal law. Along with the historical shift from political offenses to criminal activities developed the formation of a veritable international organization of police. The creation of an international police organization emerged from international policing operations that national law enforcement agencies unilaterally executed by stationing covert police agents abroad. Beyond such transnational actions, law enforcement institutions until the early twentieth century also initiated cooperation with foreign organizations based on a specific need that arose during a particular investigation. Typically, such cooperation remained restricted to the law enforcement agencies of two nations. Gradually, officials decided to organize international cooperation in a multilateral organization. During the early twentieth century, several efforts were taken to create an international police organization, but none was successful until the formation in 1923 of the International Criminal Police Commission, the organization known today as Interpol. This international organization brought police agencies together from many nations on a permanent basis to exchange information on criminal suspects via regularly organized meetings; shared technologies of communication, such as printed publications and a radio system; and a central headquarters through which police could share information among the member agencies. Today, this model of information exchange among police through a central headquarters is still the preferred method of collaboration, although the technologies of communication have progressed to include Internet-based communications systems. Besides cooperation in a multilateral organization, international police activities today also include many other forms. Most common, especially among the police agencies of powerful nations, is a system of international liaisons or legal attachés, whereby law enforcement agents locate abroad. Despite the fact that Interpol now counts 181 member agencies, much international police cooperation also continues to take place on a temporary basis between the law enforcement agencies of a smaller number of nations, such as joint investigation teams along the borders of two neighboring countries. The institutions that exist in the international community to control crime are not restricted to police agencies, as national governments and international governing bodies have also responded to the growing internationalization of crime. National governments cooperate with one another primarily in the form of extradition agreements and other formal bilateral accords on criminal matters. An extradition agreement specifies the conditions under which a person, suspected or convicted of a crime, can be handed over from one country to another country which asserts legal authority over the person. Bilateral accords between governments in criminal matters typically specify the need for enhanced cooperation and standardization of legal arrangements on various crimes. International governing bodies, such as the United Nations, the European Union, and the Organization of American States also respond to international criminal developments, typically by drawing up intergovernmental agreements between nations on matters of crime control. Since the 1970s, for instance, the member states of the United Nations have agreed on various conventions on terrorism-related activities, such as the taking of hostages, terrorist bombings, and the financing of terrorism. International governmental organizations, in addition, have set up specialized institutions to deal with criminal problems, such as the United Nations Office on Drugs and Crime. The recently formed International Criminal Court also grew out of a United Nations initiative, when 120 nations in 1998 adopted a statute for the creation of a world court. Operational since 2002, the court is now an independent international organization, complementary to national criminal jurisdictions. A supranational police force sanctioned by an international governing body, however, does not exist. Scholarly research has shown that the multiple responses to international crime from the various institutions of national governments, international governing bodies, and police organizations tend to act separately from one another and do not always harmonize with respect to objectives and methods. This disjunction causes intergovernmental agreements to remain somewhat ineffective because they lack cooperation from relevant law enforcement agencies. Likewise, the police forces of two or more countries may sometimes cooperate even without a formal accord between their respective governments. Consequently, international responses to crime are both varied but also need coordination. Since social life continues to internationalize, international responses to crime will also likely gain in importance. Bassiouni, M. Cherif. (2003). Introduction to International Criminal Law. Ardsley, NY: Transnational. Deflem, Mathieu. (2001). “International Police Cooperation in Northern America.” In International Police Cooperation: A World Perspective, edited by Daniel J. Koenig and Dilip K. Das. Lanham, MD: Lexington Books, 71-98. ———. (2002). Policing World Society: Historical Foundations of International Police Cooperation. Oxford: Oxford University Press. ———. (2004). “Social Control and the Policing of Terrorism: Foundations for a Sociology of Counter-terrorism.” The American Sociologist 35 (2): 75-92.
International Criminal Court. (2006). “Home Page.” http://www.icc-cpi.int/home.html. Interpol. (2006). “Home Page.” http://www.interpol.int. Nadelmann, Ethan A. (1993). Cops across Borders: The Internationalization of U.S. Criminal Law Enforcement. University Park: Pennsylvania State University Press.